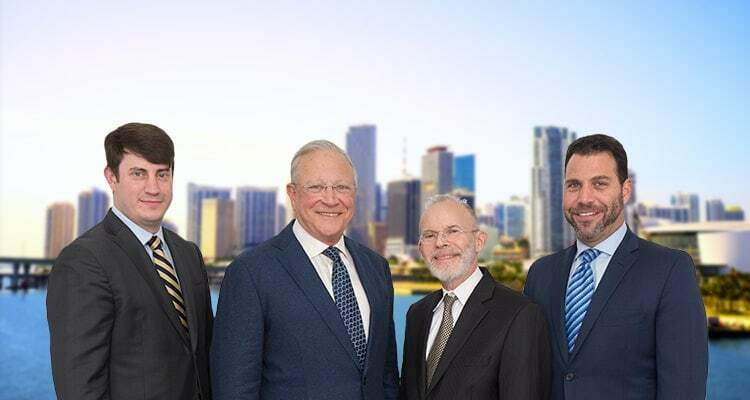 Rollover Car Accidents | Miami Auto Injury Lawyers Gerson & Schwartz, P.A. Car accidents occur on a daily basis, and can result in serious injury and can even be fatal. According to the United States Census Bureau, there were over 10 million accidents in 2009 alone. The injuries that people can sustain in car accidents can range from minor cuts and scrapes to more serious injuries that can require ongoing and long term medical care. Fortunately for car accident victims, Florida law allows people injured by the negligence to recover through a personal injury lawsuit. Damages that are recoverable through a personal injury lawsuit include compensation for medical expenses, pain and suffering, property damage, and lost wages, among others. The attorneys of Gerson & Schwartz, PA have been helping injured people recover from those responsible for their injuries since 1970, and are committed to obtaining the best possible legal result in each case we handle. These injuries can occur to occupants of the vehicle that rolled over, bystanders, or even occupants of other vehicles. It is important for anyone injured in a rollover accident to seek immediate medical attention to ensure that their injuries are properly treated. These types of serious injuries can result in disability, disfigurement, loss of quality of life, and may even be fatal. As a result, it is extremely important to hold the parties responsible for the accident legally liable. An attorney can help you determine whether you have a claim, and if so, who the proper parties are to name as defendants. who may be liable for your injuries. In addition, Florida negligence law allows people who are partially at fault for an accident to still recover for their injuries. Under Florida’s comparative negligence statute, a plaintiff who is found to be partially at fault for an accident will have his or her recovery reduced in proportion to his or her fault. For example, if a plaintiff who was found to be 10 percent at fault was awarded $100,000 for his or her injuries, they would only receive $90,000 of the award. If you or a loved one has been injured in a rollover accident, you may be entitled to substantial compensation. 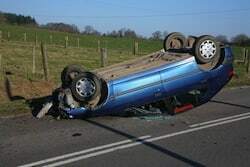 The legal and technical issues that arise in rollover accident cases can be very complicated, and it is important to retain the services of an attorney who understands how to handle these cases. If you are involved in any type of car accident, make sure that you record as much information about the incident as possible. Take photos of the aftermath, and attempt to collect contact information from any witnesses In addition, be sure to have a complete and thorough medical evaluation performed as soon as possible after the accident. This will help make sure that your injuries are both properly diagnosed and documented. The attorneys of Gerson & Schwartz, PA are dedicated to helping people injured in car accidents obtain the compensation they deserve. Contact our office today to schedule a consultation with one of our skilled lawyers.